Today we’re releasing Android 4.3 — an upgrade to Jelly Bean that introduces a number of new features, including restricted profiles. 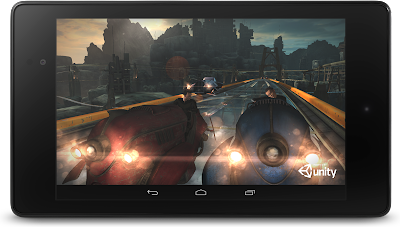 Android 4.3 also adds Bluetooth Smart support (a.k.a Bluetooth Low-Energy); the latest in 3D graphics through OpenGL ES 3.0; and more. Lightweight and portable, tablets are perfect for sharing with others. Last October we added support for multiple users. Each person has a separate space and can freely customize the tablet experience, from lockscreen to wallpaper, apps and folders. 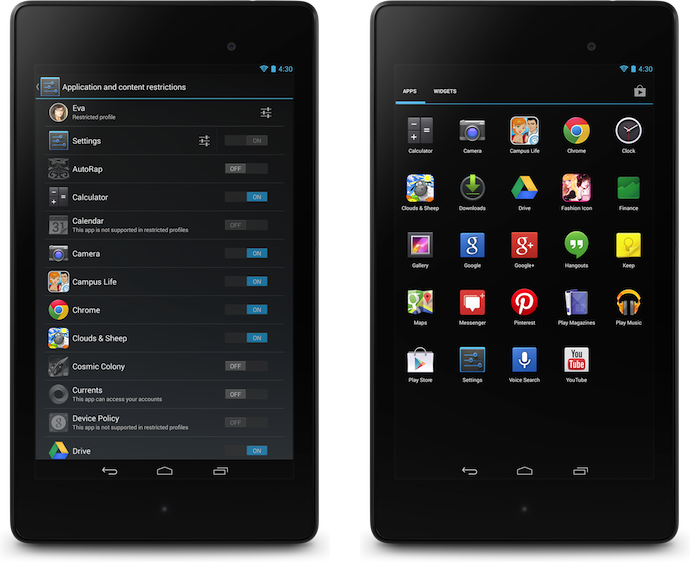 In Android 4.3, we’re introducing restricted profiles, which let you manage per-user access to apps and content. Restricted profiles can be used in any number of situations. For example, restricted profiles enable parental controls, so certain family members are prevented from accessing mature content. Alternately, retail stores can use tablets as kiosks that show product information, or shops can use tablets as point of sale systems, all while limiting access to apps. 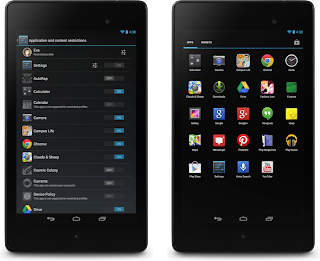 To set up restricted profiles on your tablet, go to the Users section under Settings. Learn more. Fitness sensors and other devices that use Bluetooth Smart technology open the door for a whole new class of mobile applications. Bluetooth Smart minimizes power usage while measuring and transmitting data, making both sensors and the phones or tablets connected to them more battery-efficient. With Android 4.3, Nexus 4 can now connect to Bluetooth Smart sensors. Runtastic and many other developers are making Android apps compatible with these sensors. Devices like the new Nexus 7 support OpenGL ES 3.0, the latest industry standard for accelerated 3D graphics. This brings photorealism to a whole new level in the games you’re playing: blades of grass on the soccer field come alive, asphalt on the street looks real as you screech by, stubble on a villains’ face almost pokes out of the screen. And with sophisticated effects like self-shadows, that villain looks even more menacing, casting a shadow on himself. With Android 4.3 we’ve introduced a new autocomplete feature in the dial pad. Just start touching numbers or letters and the dial pad will suggest phone numbers or names. To turn on this feature, open your phone app settings and enable “Dial pad autocomplete”. We’ve made major progress on enabling right-to-left layouts across the platform user interface: dialer, home and lock screens, settings, and more. This work builds on the support that we introduced for right-to-left layouts for Hebrew and Arabic speakers in Android 4.2. We’ve also added support for Hindi, Africaans, Amharic, Swahili, and Zulu. There’s more to Android 4.3 than we can fit in this post, so for a detailed list of changes, click here. 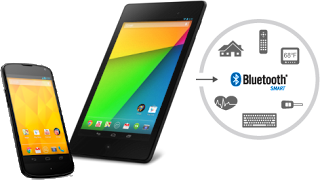 Android 4.3 is now rolling out now to Nexus devices, and will be available on the new Nexus 7 and Google Play edition devices soon. Let us know what you think on our Google+ page for Android.